I don’t know about you, but I have run out of storage on my iPhone more than once. It always happens when I am at a press event, on vacation or during the holidays. Those are all times when photos are most important to me. 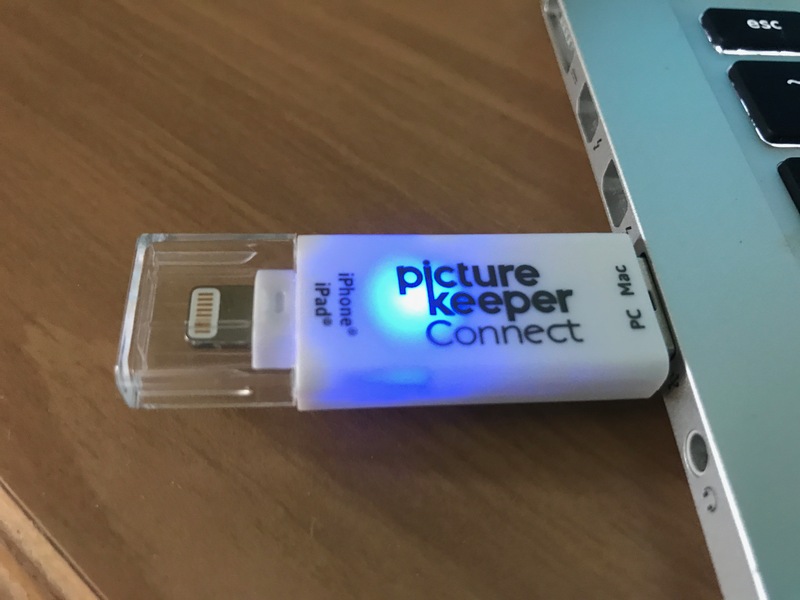 When I heard about Picture Keeper Connect that plugs into my iPhone and backs up photos, videos, and contacts, I was intrigued. To have an easy USB storage device to back up my photos helps me rest easy now during those important photos life events. 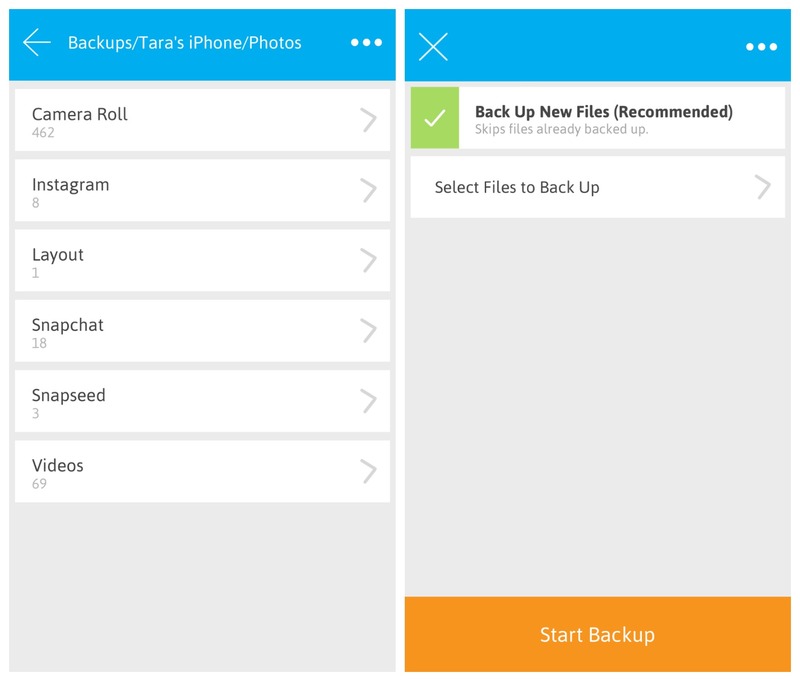 The app is simple to install on your iPhone and keeps all your memories safe on a little storage device. 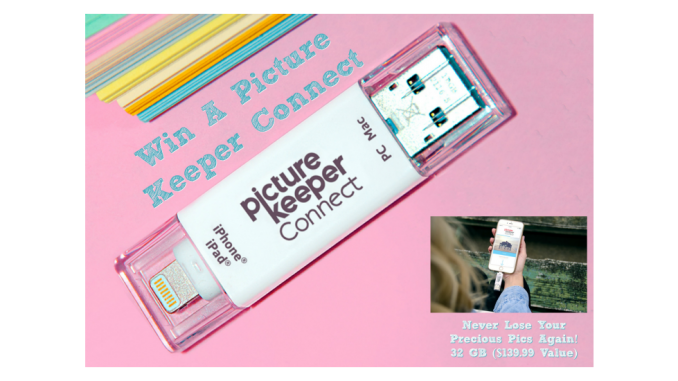 Picture Keeper Connect is a USB drive backup software that has one side that plugs right into your iPhone. There is a free app that you download. Then you connect the Lightning plug into the charging port on your phone, and then you just download your photos onto the Picture Keeper Connect drive with easy step by step instructions. Also, you’re then able to view, select, backup and delete single items or entire albums with just the touch of a button. It’s easy and stress-free. All on the digital photo storage device, Picture Keeper Connect. 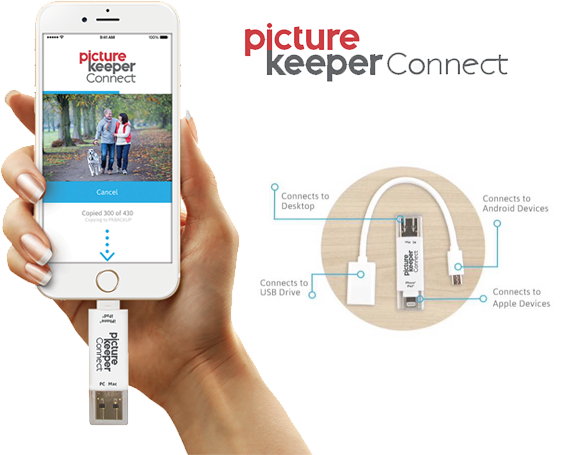 Yes, in addition to the iPhone compatible adaptor, the Picture Keeper Connect pack also comes with a micro-USB cable adaptor, offering smartphone backup software for Android users. In the case of an emergency, you can plug the drive into any phone or smart device for instant access to stored contacts and important phone numbers. This is great if you lose your phone and need contact info quickly. In addition, Mother’s Day, or any occasion, Picture Keeper Connect this is an ideal gift for anyone. Sending a graduate on a trip? Have a summer vacation planned? Are you just running out of storage on your phone? And I love the idea of traveling and sharing photos onto a Picture Keeper Connect and to give that as a gift for traveling companions. They get the pictures AND have the Picture Keeper to use for themselves. No WiFi? No data? No problem! Finally, a USB that saves photos from my phone that doesn’t require wifi. 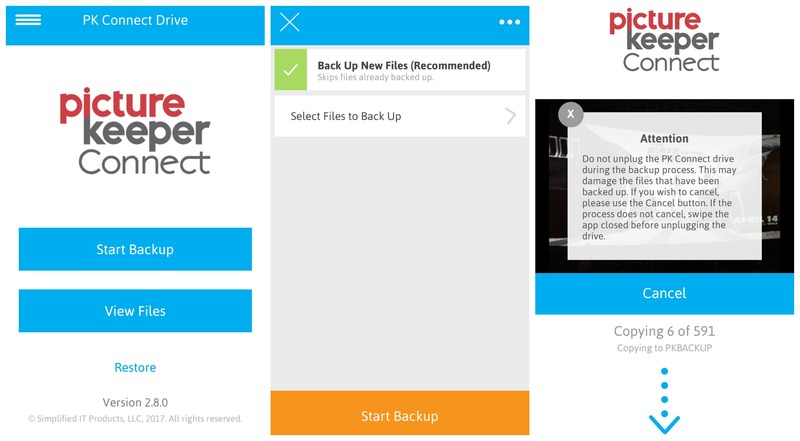 Picture Keeper Connect works anywhere and because your files aren’t stored online. This is especially relevant for when I travel that I don’t have service, but I still want to take photos. Hey Buddy!, I found this information for you: "USB for iPhone Photos". Here is the website link: https://www.trippinwithtara.com/usb-for-iphone-photos/. Thank you.